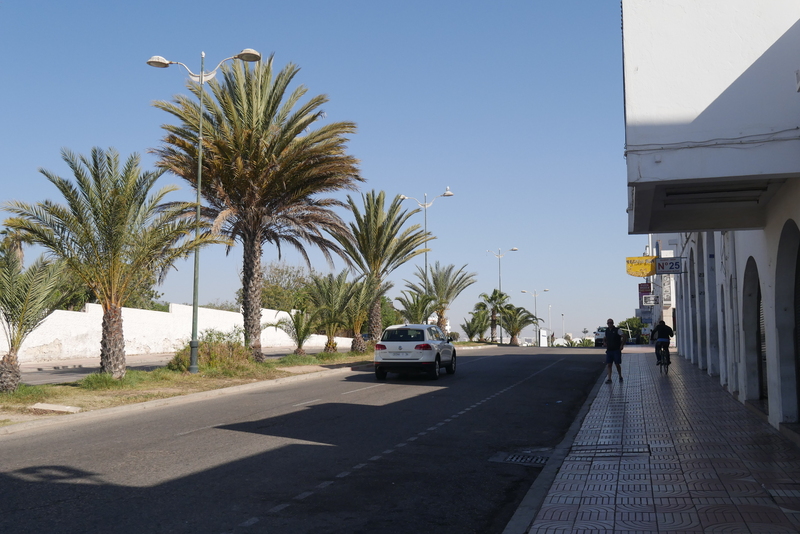 A wide street in sunny Agadir, Morocco. TOM and JOE are strolling. It is quiet. A Moroccan man ahead of them leans against a shop’s front, covered partly by its shade. TOM: It’s quite warm today. JOE: Yeah man, let’s head to the beach after we eat. The sea should be warmer than yesterday. TOM: Well it better be, otherwise I ain’t going in. As they approach the man he rears up out of the darkness. MAN: (barks) You want jet ski? TOM and JOE jump a little, startled. MAN: You want jet ski! MAN: Very cheap price, jet ski, very good, very powerful. TOM: (Copying the man’s accent) No we no want jet ski. We going to eat. JOE: No man! We don’t want anything. suddenly back towards the man. TOM: Did you say hotel? JOE: Bruv, what are you doing! MAN: I give you good price, not tourist price. 300 dirham, one night. JOE: Yeah well mate bad luck we already got a hotel. TOM: (whispers to JOE) Shut up! Don’t you know what hotel means on these streets? A girl! He’s asking if we want a girl for the night! JOE: What? Really? Tell him we both want one then. 300 dirhams is nothing! TOM: Of course. (To the man) Ok we want two hotel. TOM: (impatiently) Yes we are sure. But good hotel. MAN: Of course, very best only for you. TOM: Ok, where will we meet? MAN: Why meet? I take you hotel now. TOM: No no, too early. MAN: But hotel open. Come we go now. 300 dirhams only. JOE: Yeah that 300 dirhams is sounding pretty attractive to me. TOM: It’s too early. I’m starving. MAN: Don’t worry, hotel, good food. JOE: What do you mean? We don’t want hotel. We want hoteeeel. MAN: Yes hotel is here. Traditional food. TOM: No you idiot. We want women! Girls! MAN: Oh! Aah no, women finished. JOE: What do you mean finished?